OHIO VALLEY — One out of four children in southeastern Ohio faces hunger. According to Feeding America, when schools close for summer, kids have less access to nutritious meals as many rely on free or reduced school breakfast and lunch. The nation’s leading domestic hunger-relief charity, Feeding America, selected the Southeastern Ohio Foodbank and Kitchen to receive a Hunger Free Summer grant. The grant is funded by the ConAgra Foods Foundation to help provide meals to kids when school is out for summer. The Southeastern Ohio Foodbank and Kitchen is one of 23 Feeding America food banks in 15 states that will receive these hunger-free summer grants. 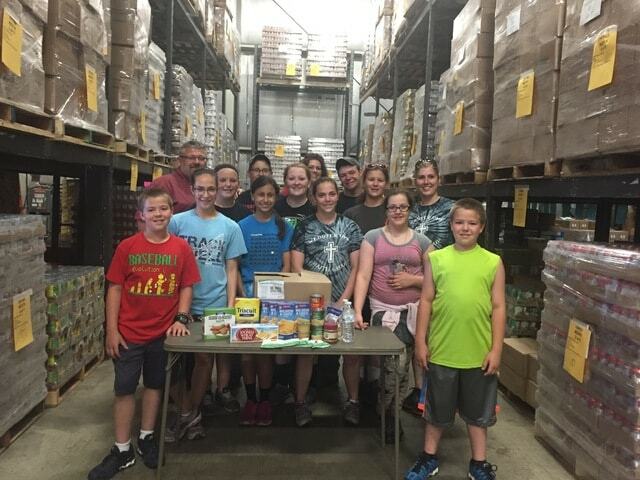 The food bank, a division of Hocking Athens Perry Community Action, provides access to affordable, quality food resources to individuals and organizations seeking to mitigate food insecurity and promote good nutrition. The food bank acts as a distribution center to collect and distribute government funded, donated and purchased food to 58 member agencies across a ten county region that includes Athens, Gallia and Meigs. Many ConAgra Foods’ products are marked with a red push pin and code. For each eight-digit code entered at www.ChildHungerEndsHere.com this summer, ConAgra Foods will donate the monetary equivalent of one meal to Feeding America®, up to 3 million meals. On every Friday between now and July 31, 2015 1 code = 1 meal plus 1 bonus meal. Learn more about the Southeastern Ohio Foodbank and Kitchen, visit www.hapcap.org/foodbank, like them on Facebook, and follow them on Twitter and Instagram.